Join us every Tuesday at your local Cibo Wine Bar for an Italian take on culinary classic. 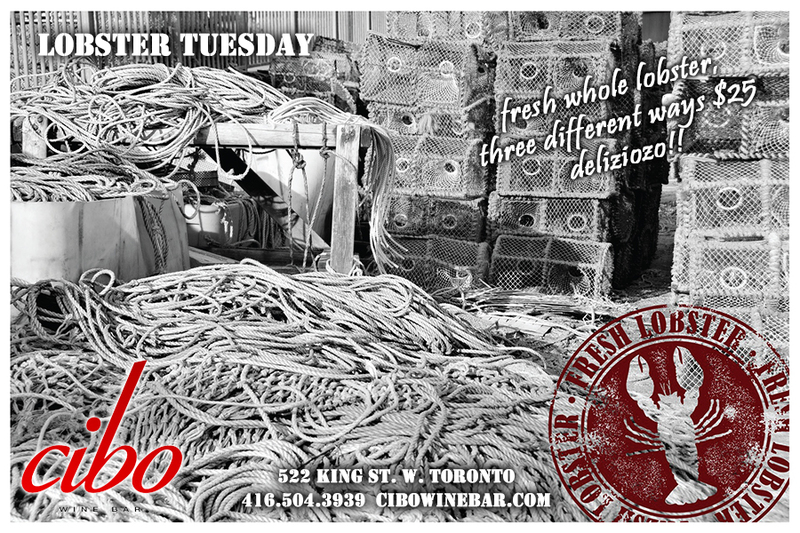 A fresh whole Lobster three different ways: Lobster Linguini, Grilled Lobster and Lobster Risotto. This has become one of Cibo’s most popular promotions and it’s not a surprise that they are selling out every week! Make reservations and get in early! Saluti!!! Visit Cibo Wine Bar online and see locations for details.